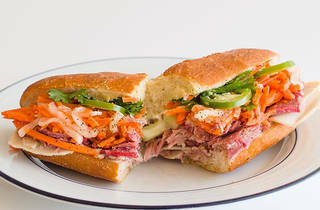 Dinosaur's slightly higher prices reflect the quality ingredients and the Castro locale. 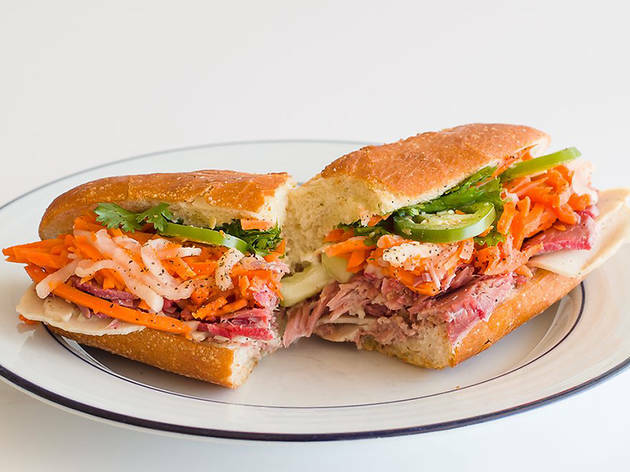 In addition to an array of banh mi options—marinated grilled pork, crispy tofu, shaken beef, steamed meatballs and spicy tuna among them—this spot gets points for its fresh-made spring rolls, available in chicken and shrimp, pork and shrimp and vegan tofu varieties. The sandwiches are topped with the usual garnishes (plus vegenaise, upon request). Save room for the Vietnamese coffee, brewed from dark roasted beans and chicory, or the watermelon lychee smoothie.